The president is running out of time to fulfill his stated health care overhaul strategy. President Obama better have a Plan B. After more than week of tirelessly pressuring Congress to move his top domestic priority, it appears increasingly likely President Barack Obama may have to settle for a fallback strategy on health care overhaul. Not only are Republicans honing their opposition, but some Democrats in both chambers are voicing doubts about moving such complex and costly legislation too quickly. "No one wants to tell the speaker (Nancy Pelosi) that she's moving too fast and they damn sure don't want to tell the president," Rep. Charles Rangel, D-N.Y., a key committee chairman, told a fellow lawmaker as the two walked into a closed-door meeting Tuesday. The remark was overheard by reporters. Obama has scheduled a prime-time news conference Wednesday, expected to focus on health care. It's turning into a major test of his leadership. One Republican senator says if the party can stop Obama on health care, it will break him. In an interview with CBS News on Tuesday, the president insisted on action by lawmakers, even as he conceded some of the criticism was valid. Referring to objections from a group of conservative Democrats in the House, Obama said, "I think, rightly, a number of these so called Blue Dog Democrats — more conservative Democrats — were concerned that not enough had been done on reducing costs." Obama said those issues can be addressed as the legislation keeps moving forward. Congress has already spent years studying and debating the problems in the health care system, he said. House Democrats put their divisions on display over the details and timing of health care legislation Tuesday. The Democratic leadership juggled complaints from conservatives demanding additional cost savings, first-term lawmakers upset with proposed tax increases and objections from members of the rank-and-file opposed to allowing the government to sell insurance in competition with private industry. Pelosi, D-Calif., vowed weeks ago that the House would vote by the end of July on legislation to meet two goals established by Obama. The president wants to extend health coverage to the tens of millions who now lack it, and at the same time restrain the growth in health care costs far into the future. The upfront costs, however, could reach $1 trillion to $1.5 trillion over 10 years. The president also has vowed that the legislation will not swell the deficit, although a senior administration official told reporters Tuesday that the pledge does not apply to an estimated $245 billion to increase fees for doctors serving Medicare patients over the next decade. Peter Orszag, the White House budget director, said that was because the administration always assumed the money would be spent to avert a scheduled cut of 21 percent in doctor's fees. At the White House, Obama and moderate and conservative Democrats verbally agreed on a council of experts to find savings in Medicare, coupled with a mechanism to force Congress to act on the recommendations. The cost curbs may help woo some of the conservatives. In the Senate, a small, bipartisan group of lawmakers on the Senate Finance Committee met behind closed doors, pursuing an elusive agreement. The negotiations, led by Sen. Max Baucus, D-Mont., have taken on new urgency. But it's unclear whether they will produce a breakthrough — or peter out in frustration. Obama has spoken in public nearly every day for more than a week on health care, some times more than once. At the same time Republicans have upped the political stakes. On Monday, Michael Steele, the Republican Party chairman, likened Obama's proposals on health care to socialism, and said the chief executive wanted to conduct a "risky experiment" that will damage the nation's economy and force millions to lose the coverage they now have. Last week, Sen. Jim DeMint, R-S.C., was quoted as telling fellow conservatives: "If we're able to stop Obama on this, it will be his Waterloo. It will break him." 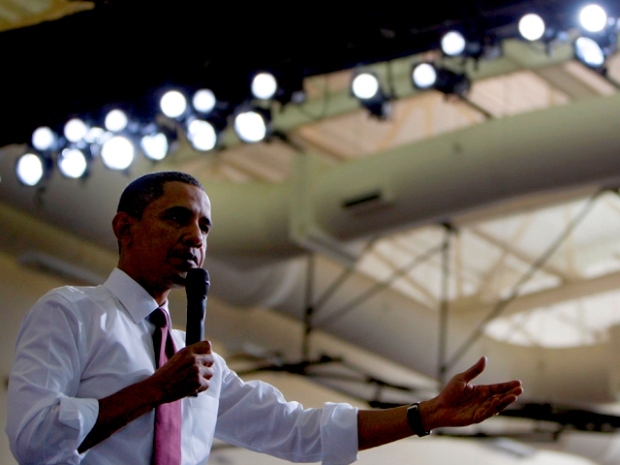 Given the struggle, the polls show slippage for Obama, although he remains popular. The president is battling the impression if not the reality that his proposal is stalled. In the CBS interview, Obama recognized that perception. "There have been so many times, during my political career ... where people have said, 'Boy, this is make or break for Obama,'" he said. "When the stock market went down everybody was saying, 'This is a disaster.' And what I found is that as long as we are making good decisions, thinking always what's ... best for the American people, that, eventually, as long as we're persistent and we're listening to the American people, that things get done."